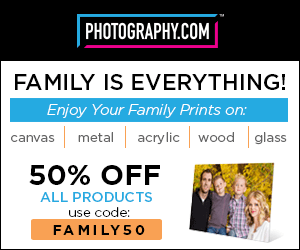 Photography.com is one of the largest specialty photo manufacturers in North America and has been in business since 1979. Ordering online is simple with step-by-step instructions on how you should upload your photo, edit accordingly and check out. Mother's Day Sale! Get 4 Canvas Prints for The Price of 1 Plus Free Shipping!